There are other thrusts presents in region, such as the Jwalamukhi thrusts and the Drang thrust. Shimla can expect maximum peak ground acceleration (PGA) of 4 meters per second square. Hence Shimla can expect an earthquake of seismic intensity VIII on Modified Mercalli (MM) Intensity Scale. Townhall Project was constructed during 1st decade of 20th century and it was a steel frame structure. At that time, steel frame technology was latest technology of that time. This building has withstand all the earthquakes till date, so it should be retrofit for next millenniums. 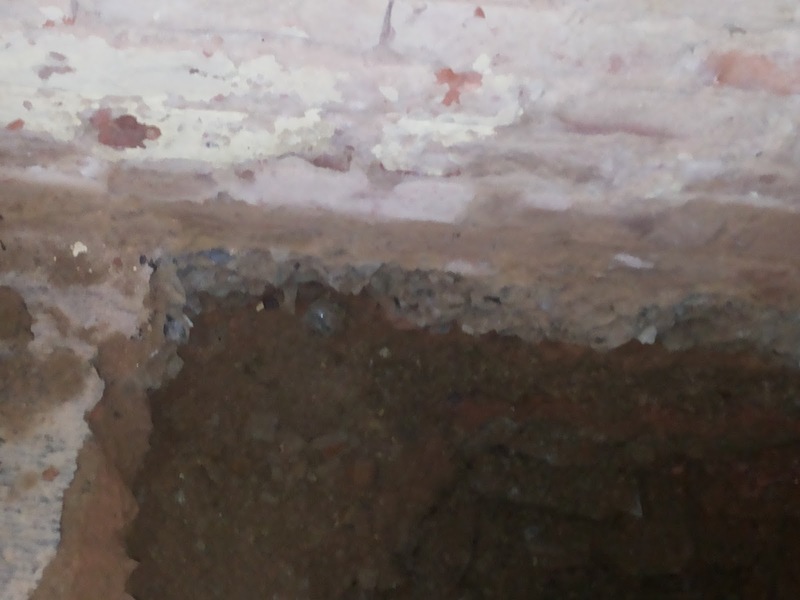 Detailed investigation was done for settlements, cracks, fissures, seepage and distress. Dynamic cone penetration test (Dcpt) were conducted at 6 locations in January, 2014. Out of which 3 location were adjacent to Town hall on Ridge road. Allowable bearing capacity arrived from test was (qa) Net=13 t/ m2 and (qa) Gross = 15.6/m2. The foundations are deemed sufficient for their intended purpose of use. Exterior walls are in good condition. 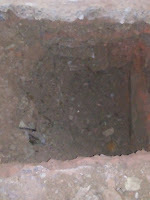 There is some spalling of mortar at masonary walls. 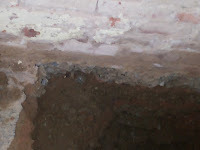 There is some damage due to seepage of water. Original Woodwork and joinery which is believed to be dated from the time of the original construction are in good condition. The timber is sound with little to no presence of rot or infestation. Substantial checking of paintwork has occurred exposing large areas of wood. These conditions are due to the over painting of the old oil based paints with newer water based paints. The window panes are all intact with isolated broken panes. The majority of the panes are well fixed and rattle free. Outer Windows: Most of windows panes facing Mall road and Ridge have been damaged due to rain and other Climatic conditions. Most of these require Replacement/ Restoration. Structurally the columns are considered sound. As per method of construction, all loads applied to the masonry are distributed through plate girder beams and therefore can be considered as uniformly distributed with no moment applied. The first floor tiles are in good condition. There are signs of negative bending cracking moments over the beams. The ground floor flooring is recent and tiled. The structural steel within the roof area is in good condition. The Ridge timbers and the major purlin along the major roof lines are still serviceable and show little to no sign of rot. The major purlin at the jack roof, the portion of the roof which overhangs the wall, does contain rot. The timber purlin secondary rafter and minor purlin are in the poor condition and extensively rotted. The roof tiles are in state of repair. Approximately 40 % of the tiles are cracked, dislodge or missing. The level of corrosion is more than 20 % of total area as observed visually. 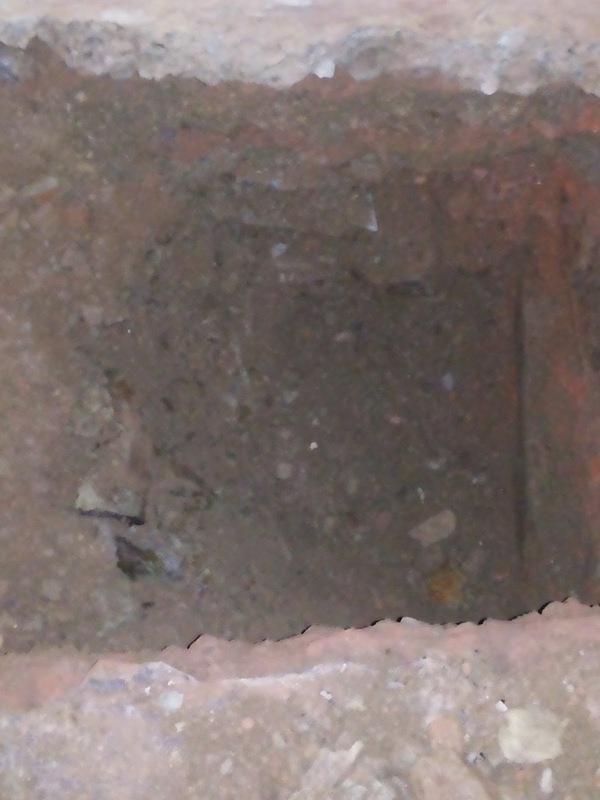 Above building is stable and as observed there is no new settlement in foundation. As far as Beams, Columns are concerned there area is rusted to 10 to 15 %. Wooden members also loss their strength due to nearly 100 yrs of construction. Foundations: no repair work is required. Walls: Recommendation are confined to finishing and paint work. Windows and doors: New windows should be constructed. Columns: No repair work is required except for some plastering work on defects area and paint work. 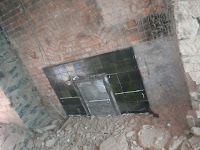 First Floor and mezzanine floor: Either there should be complete replacement or partial replacement of the floor tiles. Matching of the old and new tiles may be difficult. Therefore its better to replace existing tiles. Roofs: Removal of the existing tiles would result in 50 % of the original tiles and that can be re-used in the new roof. In this case also matching of the old and new tiles is difficult. Hence, there one option is existing tiles be used on the front of the building with the newer tiles being placed at the rare side. Ceiling: Anti rust treatment and painting. Steel in Beams and Columns: Anti rust treatment should be done. After the completion of project periodic assessment of structure should be done to observe signs of distress. Installation of strain gauges at crucial location should be done to measure stress. The installation of deflection sensors should be done to check support settlement. Piezometers should be used to measure pore water pressure and seepage at critical locations.